Partnership still intact eh ? HTC, the rapidly upcoming smartphone superpower is supposedly going to unveil new Mango based Windows Phone devices at an event taking place on September 1st, reports BGR. According to BGR’s well placed sources, two new devices, namely HTC omega and HTC eternity are going to be introduced , and catch is, it’s a Windows Phone only event ! HTC is a big proponent of the Android ecosystem and it has recently confirmed that Android is it’s main platform. 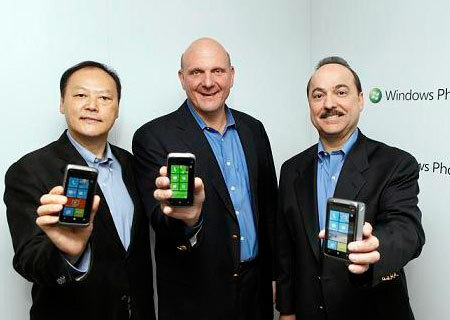 Isn’t it surprising that they are holding a Windows phone- only event ? Also, according to BGR, the Eternity is a mango phone with a 3.7 inch display headed to AT&T, and Omega is a 4.5 inch mammoth headed to T-Mobile. Both same carriers if the merger goes through. So, i guess no love for CDMA, on the brighter side, the GSM devices would be globally available and soon it may launch in India too. If HTC markets them well enough, it should succeed here. Let’s see how the hardware specs hold against the slew of dual-core Android devices.